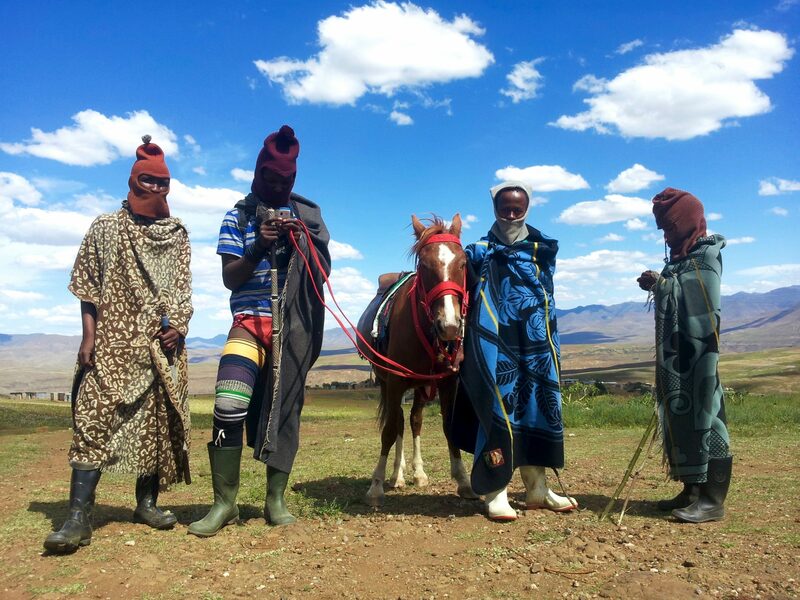 I went to the mountains of Lesotho in southern Afrika and stayed three weeks with the family of Thato Maluke in the small shepherd village Hakenene, one and a half hours walking distance away from the nearest road. 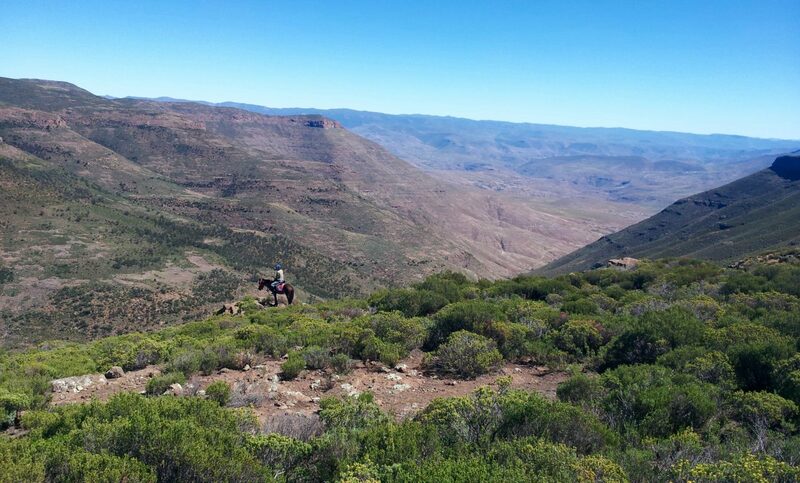 I learned a lot from this simple life without electricity or running water. 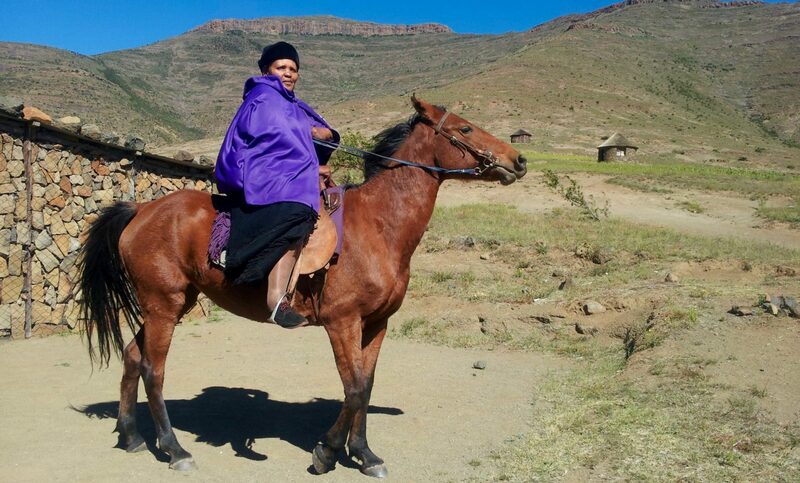 The hospitality of Thato and her village was incredible and the one week horse trip to Drakenberg´s mountains of South Afrika was one of the most beautiful trips in my life. My host, the school headmaster Thatu Maluke on the way to church. 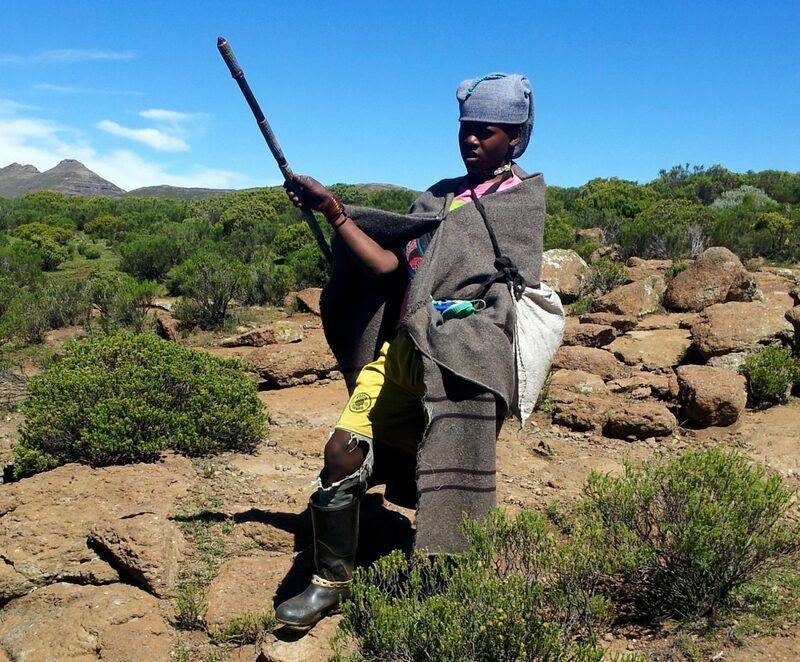 Local shepherd with traditional Lesotho shepherd stick, blanket and balaclava. 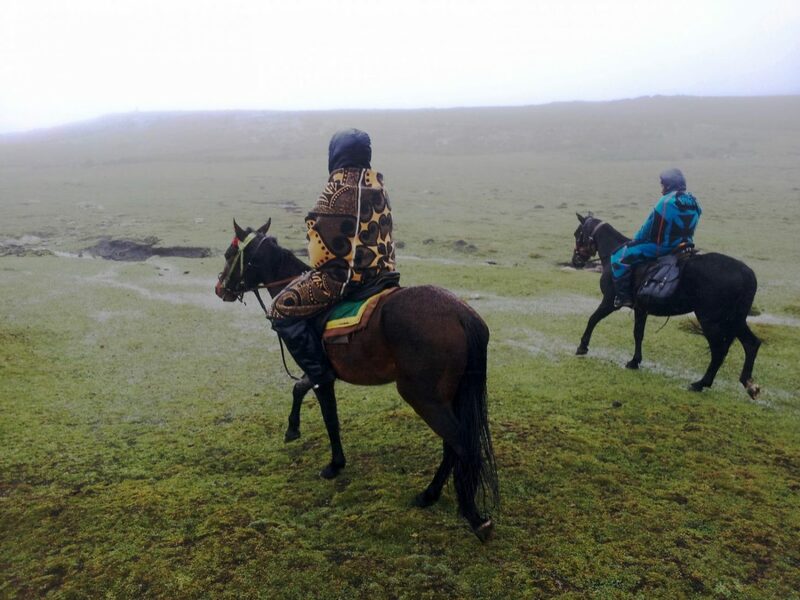 Cold rain and no visibility on the final destination of my one week horse trip. 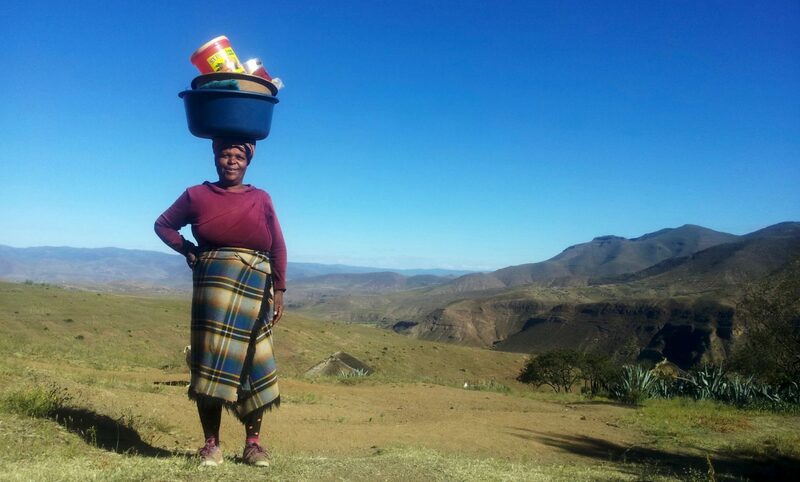 Our neighbor in Hakenene on her way home from washing dishes in the stream. 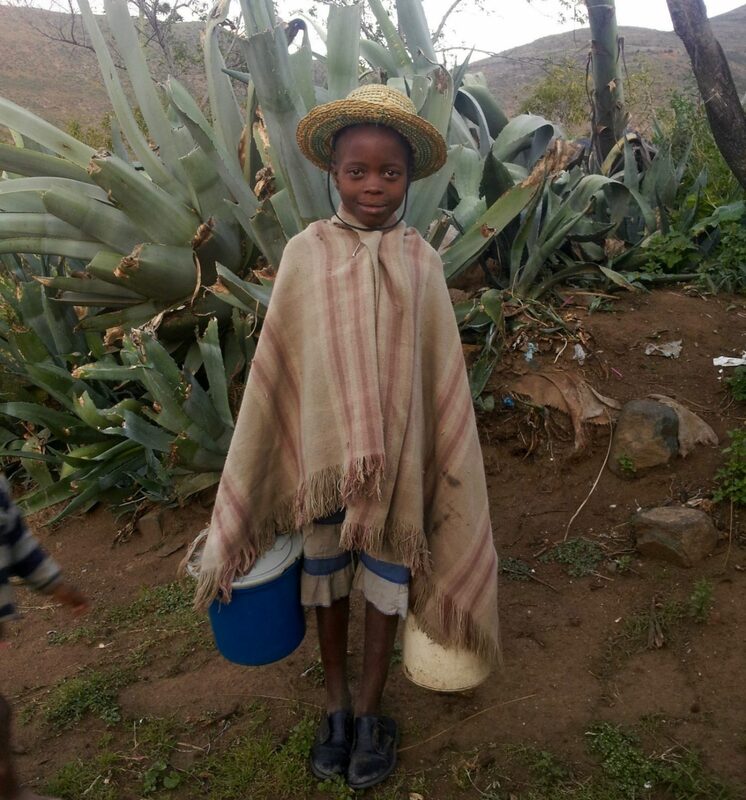 My neighbor kid on the way to get drinking water from the spring. 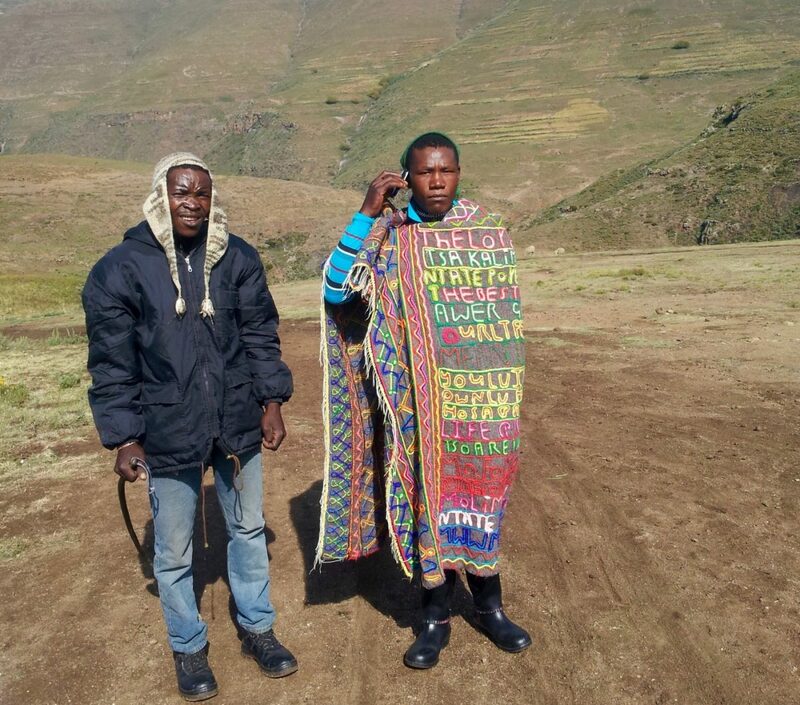 Customized Lesotho blanket. By the way, holding the phone is just for show.